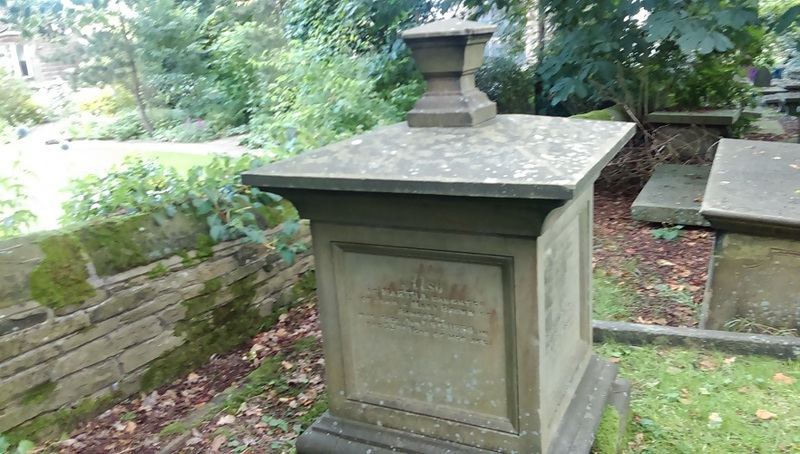 Anne Brontë died tragically young, aged just 29 (whatever it may say on her Scarborough tombstone), but the last week has marked the anniversary of the death of a man who could only have dreamt of reaching such an age. 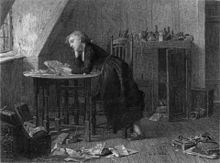 Thomas Chatterton, as we shall see, has a Brontë connection, he was a great poet, a great dreamer, he cheated the experts of his day but he couldn’t cheat fate, and he died on 24th August 1770 – he was just 17 years old. Chatterton’s story is a rather unique one from beginning to end. He was born in Bristol in November 1753, where his father, another Thomas Chatterton who wrote poetry that was in no way the equal of his son’s, was a church sexton and musician, but also a firm believer in the occult. Chatterton senior died four months before the birth of his son, meaning that Thomas was born into complete poverty, and thrown upon the mercies of a charity school. Here he made rather peculiar progress; he failed to interact with his fellow pupils and often sat in a trance for hours at a time. When asked what he would like painted onto a bowl, he replied: ‘paint me an angel with wings and a trumpet, to trumpet my name over the world’. He was considered educationally backward, but as he was to show he was far from it. By the age of 11 he had begun writing incredible poetry, but what was most remarkable was that it was written in a medieval style rather than the vernacular. Chatterton loved medieval verse, and composed a succession of poems supposedly by a 15th century monk named Thomas Rowley. 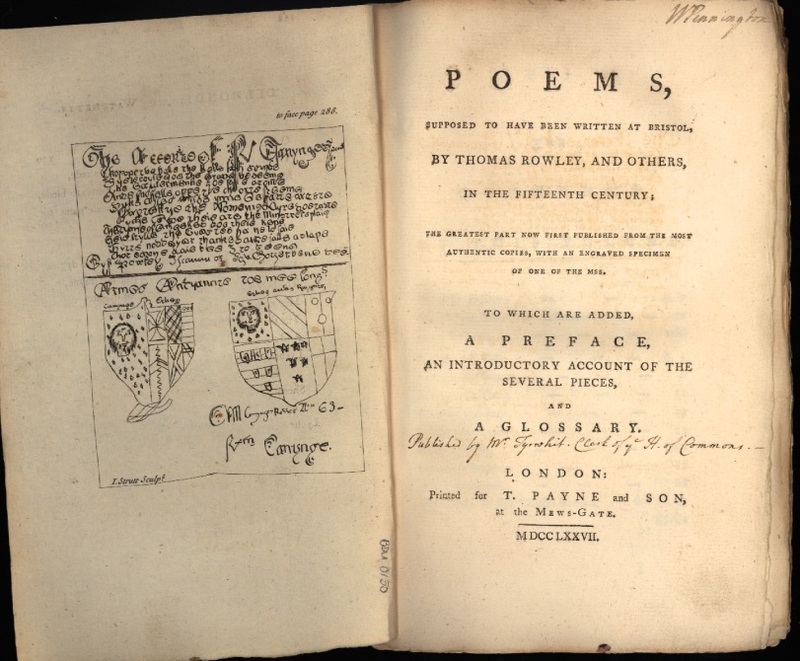 Despite being in his mid teens, Chatterton’s Rowleyan verse fooled much of the establishment, and Rowley was hailed as a great and newly discovered poet. Eventually it was discovered that the Rowley poems were forgeries, and that the schoolboy Chatterton was behind the literary hoax, but undeterred the 16 year old then started writing political tracts and essays. He moved to London where he hoped to sell his writing to magazines. His work was published but he received very little money, and eventually he slipped towards starvation and poverty. 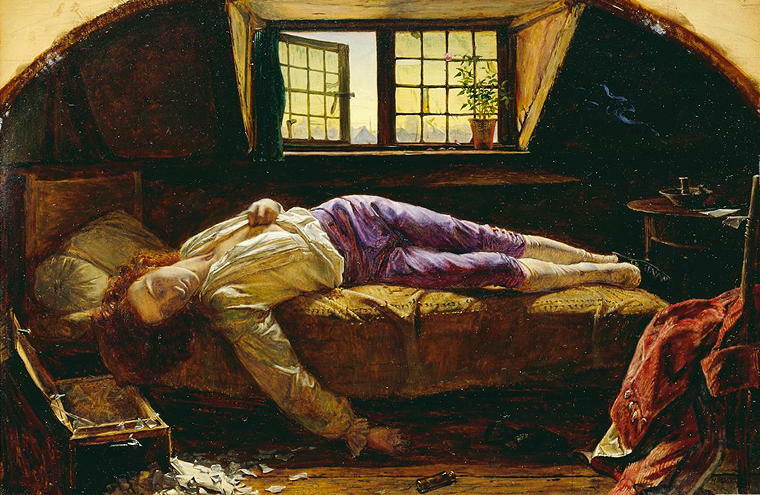 Three days later, a wealthy man named Fry visited Chatterton in his attic room in Brook Street, intending to give him financial support (Chatterton’s poverty was well known, and he often went days without eating); alas, he found the 17 year old poet dead on his bed. He had committed suicide by drinking arsenic, and by his body was a fragment of a final Rowley poem. Chatterton must have thought he was a failure, to borrow the words of John Keats (another poet who died much younger than Anne Brontë) he would not last as ‘here lies one whose name is writ on water’. 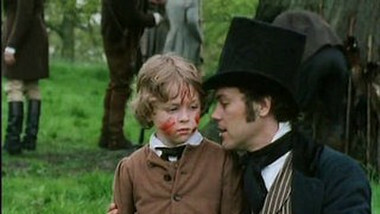 Keats was very wrong of course, and so was Chatterton to an extent. His work is still read today, but more than that he became a romantic figure for poets and dreamers everywhere, as well as a huge inspiration for the Romantic poets that followed such as Wordsworth and Shelley. This status was summed up in a portrait that has brought him everlasting fame: the 1856 painting ‘The Death Of Chatterton’ by Henry Wallis. 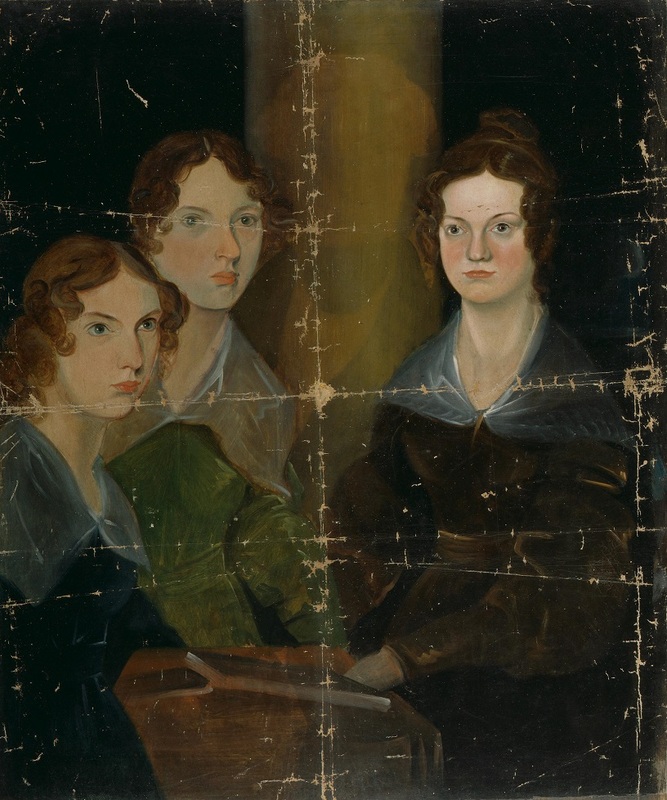 I mentioned a Brontë connection? Chatterton, in his brief and torrid spell in London mixed with the literary greats of the day. He was admitted into the circle of the likes of Oliver Goldsmith and Samuel Johnson, and where did they and Chatterton meet? 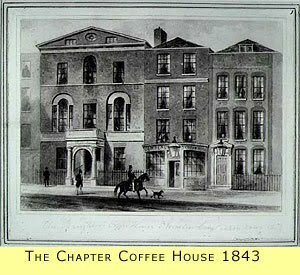 The Chapter Coffee House on Paternoster Row. In the succeeding century, it was the place that Charlotte and Anne Brontë stayed in on their 1848 visit to London. Did they know that Chatterton’s shade stalked the corridors, or that he looked out onto the shadow of St. Paul’s, wondering which outcome was to be his: triumph or death? Thy mercy in thy justice praise. But what th’Eternal acts is right. And Mercy look the cause away. Shake off the melancholy chain. The sickness of my soul declare. Nor let the gush of mis’ry flow. 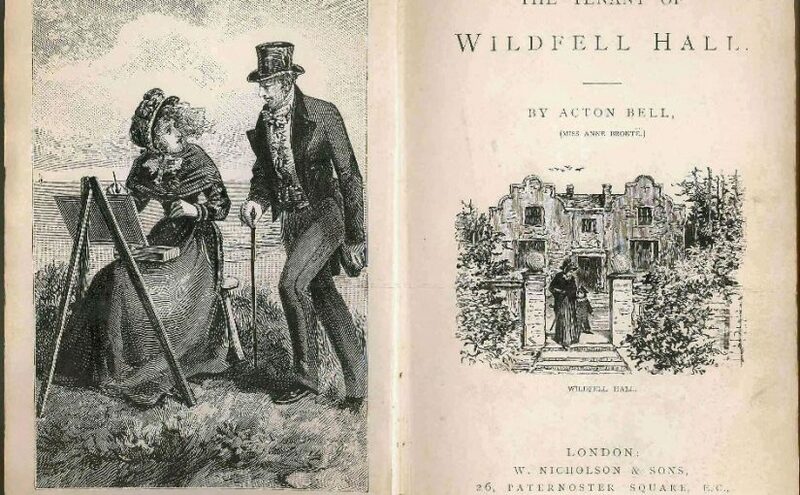 Anne Brontë’s second novel, ‘The Tenant Of Wildfell Hall‘, was published by Thomas Cautley Newby in late June 1848, and it proved an instant and huge success. Most people today would be surprised to hear that it sold even faster than her sister’s ‘Jane Eyre‘ of the previous year, and within six weeks a second edition was already being printed and distributed. “WHILE I acknowledge the success of the present work to have been greater than I anticipated, and the praises it has elicited from a few kind critics to have been greater than it deserved, I must also admit that from some other quarters it has been censured with an asperity which I was as little prepared to expect, and which my judgement as well as my feelings, assures me is more bitter than just. It is scarcely the province of an author to refute the arguments of his censors and vindicate his own productions, but I may be allowed to make here a few observations with which I would have prefaced the first edition, had I foreseen the necessity of such precautions against the misapprehensions of those who would read it with a prejudiced mind or be content to judge it by a hasty glance. My object in writing the following pages was not simply to amuse the Reader, neither was it to gratify my own taste, nor yet to ingratiate myself with the Press and the Public: I wished to tell the truth, for truth always conveys its own moral to those who are able to receive it. But as the priceless treasure too frequently hides at the bottom of a well, it needs some courage to dive for it, especially as he that does so will be likely to incur more scorn and obloquy for the mud and water into which he has ventured to plunge, than thanks for the jewel he procures; as, in like manner, she who undertakes the cleansing of a careless bachelor’s apartment will be liable to more abuse for the dust she raises than commendation for the clearance she effects. Let it not be imagined, however, that I consider myself competent to reform the errors and abuses of society, but only that I would fain contribute my humble quota towards so good an aim, and if I can gain the public ear at all, I would rather whisper a few wholesome truths therein than much soft nonsense. As the story of ‘Agnes Grey’ was accused of extravagant over-colouring in those very parts that were carefully copied from the life, with a most scrupulous avoidance of all exaggeration, so, in the present work, I find myself censured for depicting con amore, with ‘a morbid love of the coarse, if not of the brutal,’ those scenes which, I will venture to say, have not been more painful for the most fastidious of my critics to read than they were for me to describe. I may have gone too far; in which case I shall be careful not to trouble myself or my readers in the same way again; but when we have to do with vice and vicious characters, I maintain it is better to depict them as they really are than as they would wish to appear. To represent a bad thing in its least offensive light is, doubtless, the most agreeable course for a writer of fiction to pursue; but is it the most honest, or the safest? Is it better to reveal the snares and pitfalls of life to the young and thoughtless traveller, or to cover them with branches and flowers? O Reader! if there were less of this delicate concealment of facts this whispering, ‘Peace, peace’ when there is no peace, there would be less of sin and misery to the young of both sexes who are left to wring their bitter knowledge from experience. I would not be understood to suppose that the proceedings of the unhappy scapegrace, with his few profligate companions I have here introduced, are a specimen of the common practices of society the case is an extreme one, as I trusted none would fail to perceive; but I know that such characters do exist, and if I have warned one rash youth from following in their steps, or prevented one thoughtless girl from falling into the very natural error of my heroine, the book has not been written in vain. But, at the same time, if any honest reader shall have derived more pain than pleasure from its perusal, and have closed the last volume with a disagreeable impression on his mind, I humbly crave his pardon, for such was far from my intention; and I will endeavour to do better another time, for I love to give innocent pleasure. 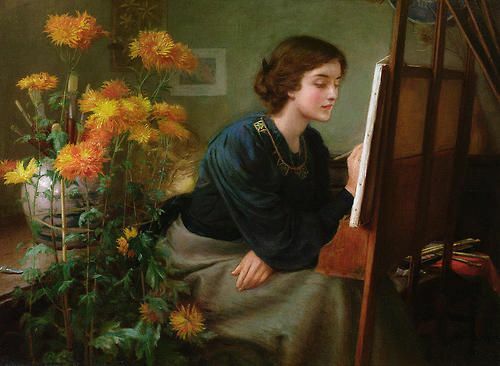 Yet, be it understood, I shall not limit my ambition to this or even to producing a perfect work of art: time and talents so spent, I should consider wasted and misapplied. Such humble talents as God has given me I will endeavour to put to their greatest use; if I am able to amuse, I will try to benefit too; and when I feel it my duty to speak an unpalatable truth, with the help of God, I will speak it, though it be to the prejudice of my name and to the detriment of my reader’s immediate pleasure as well as my own. 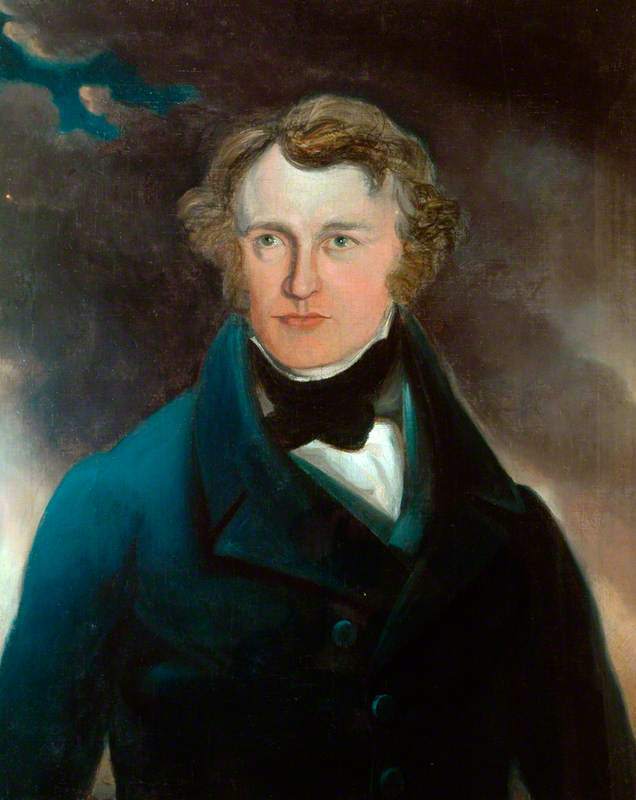 In this extra mid week post I’m going to take a look at a man who played a central part in Anne Brontë’s life: William Weightman. I believe that Weightman was loved by Anne and that he loved her back, and if they hadn’t been torn apart by tragedy they may have married – I believe that’s a message contained in ‘Agnes Grey‘ and much of Anne’s poetry, but I accept that others may have different opinions. Anyway, that’s a subject I will look at in a future post, but today we are looking back at an event that happened on this day 176 years ago, and on the reputation that Weightman has now and had then. 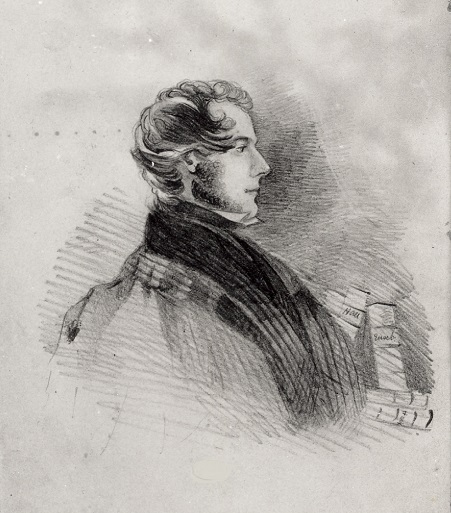 On this day, 14th August, in 1842 William Weightman presided over his final duties as assistant curate to Patrick Brontë at Haworth’s St. Michael and All Angels’ church. 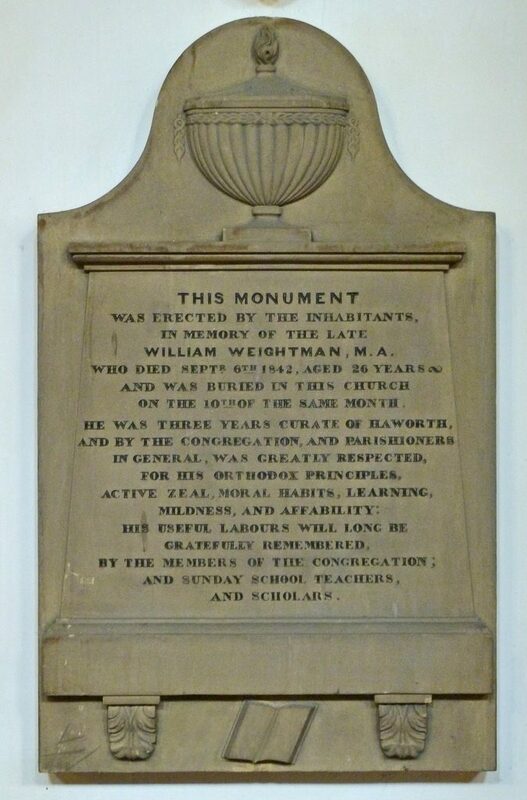 Weightman, a native of Appleby, Westmorland (that’s it at the head of this post), first arrived in Haworth in August 1839, having recently graduated with a Master of Arts degree from the newly created Durham University. At Durham he would have met three people with links to the Robinson family of Thorp Green Hall, Charles Thorp, Thomas Gisborne and Lionel Gisborne, but again this link and the implications it had for Anne will be looked at in another post. 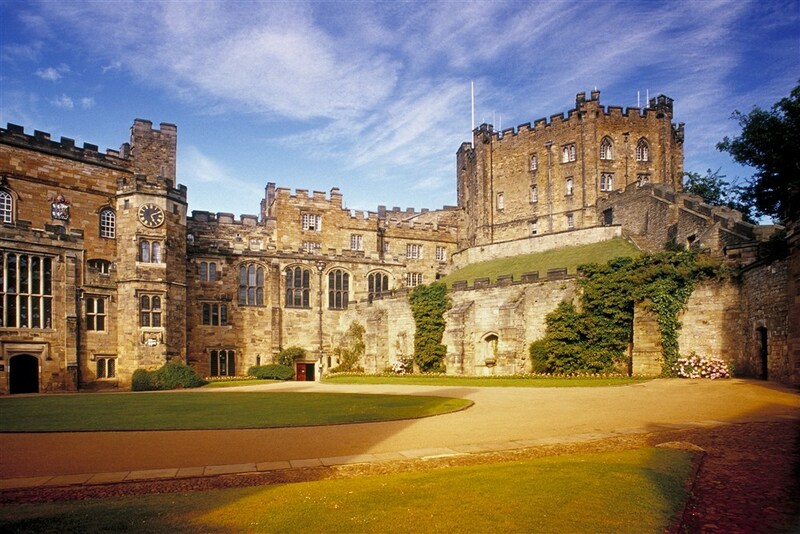 Durham University became England’s third University, after Cambridge and Oxford, in the 1830s. Alas, Charlotte discovered too late this kindness that Anne and the villagers of Haworth had long known. The reason that this day marked the last duty of William Weightman is that on the night of the 14th he once again visited a sick parishioner, contracted cholera from them and died aged 26 three weeks later. ‘I have had a long attendance at the deathbed of the Rev. William Weightman, one of my dearest friends’. It’s time to put aside any doubts about William Weightman for we see here glowing tributes to him from Patrick Brontë, Branwell Brontë, a Leeds newspaper and the people of Haworth, and perhaps the most beautiful tributes of all are contained in Anne Brontë’s mourning poems and the character of the supremely kind assistant curate Weston in ‘Agnes Grey’. He was a great man who brought happiness into Anne’s life, if all too briefly, and for that we should be thankful. 1855 was a tumultuous year in and around the Haworth Parsonage, one that had started with such promise and happiness, as the newly married Charlotte Nicholls, nee Brontë of course, found that she was pregnant, ended with three families inextricably linked to the parsonage losing a loved family member. The first 1855 death came on 17th February, when the loving, kind, long standing servant Tabby Aykroyd died. Like many people born in the 18th century, her exact date and even year of birth is unknown, but it is believed that she was aged around 84 at death. 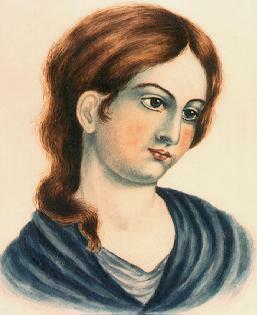 She had been a permanent fixture in the lives of the Brontë siblings since her arrival in the parsonage in 1824, and she had seen them sadly dwindle from six to one – she was spared at least the sight of seeing her beloved Charlotte die, who succumbed to excessive morning sickness just a month and a half later. 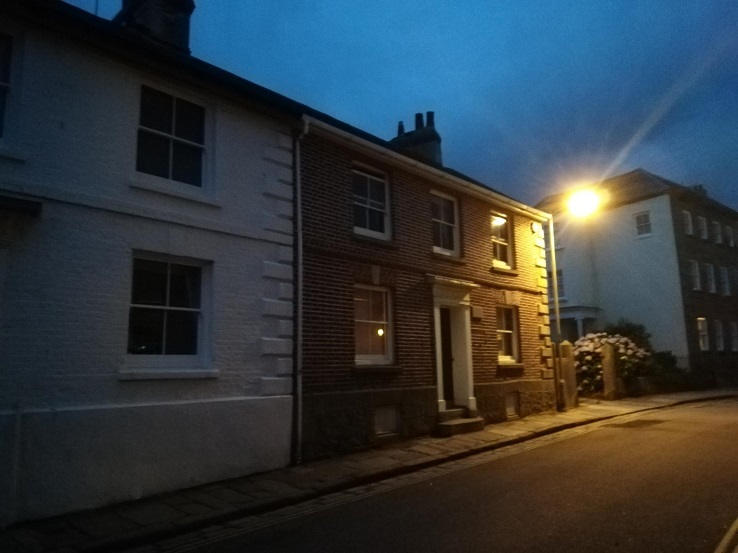 Two great lights had now been extinguished within the Parsonage’s walls, and it must have been a dreadfully sombre place in that spring of 1855. Alongside the grieving father and bereaved husband, there was now only one more figure – the then 27 year old Martha Brown. Martha too enjoyed long and distinguished service at the parsonage. 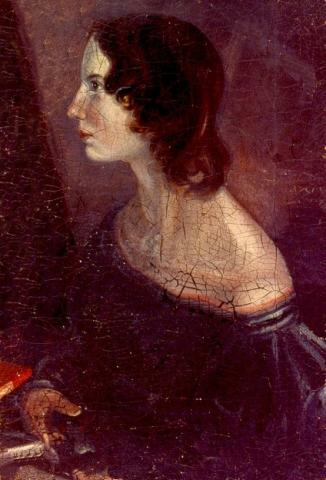 She first entered it as a 13 year old girl in 1841 and remained in service there until Patrick Brontë’s death in 1861. 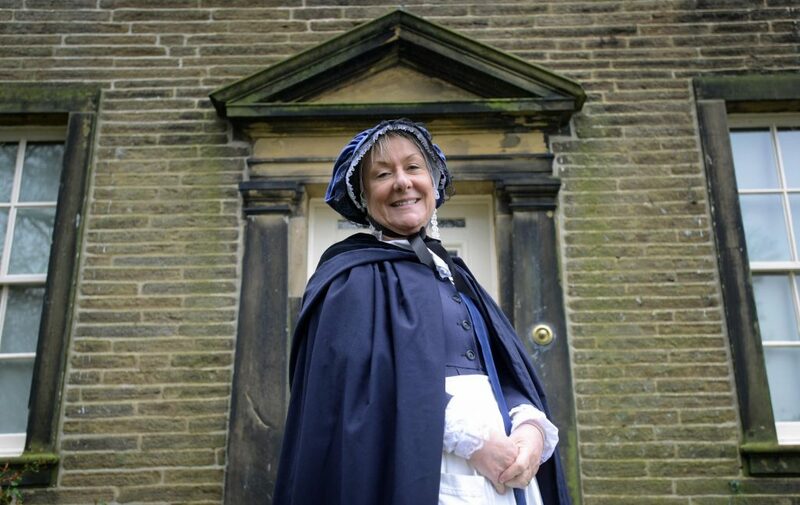 At first enjoying a junior role she became more involved in the everyday management of parsonage life as Tabby grew older, and she would have worked closely alongside Emily Brontë after her return from Brussels in 1842. 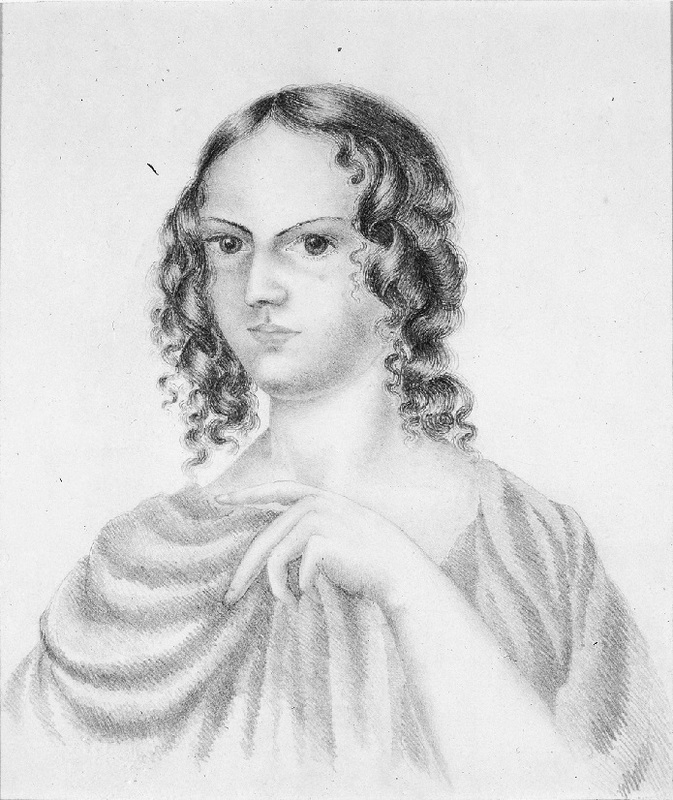 In 1848 and 1849 she must have played a close role in nursing first Branwell, and then Emily and Anne Brontë, although Emily would not have welcomed such molly coddling, and she would have repeated this task in 1855 with first Tabby and then Charlotte. Despite this, it is thought that Martha herself was often unwell, not uncommon in pestilential Haworth of course, and she may also have been slight, as Charlotte Brontë herself advised Martha not to undertake the heavier domestic duties. We know for sure that Martha was loved and respected by all the Brontës, something evidenced in Charlotte’s letters to her and by the fact she was left £30 in Patrick’s will, which was equivalent to three years’ wages for her. She also had a large amount of Brontë memorabilia, and Martha’s collection, sold after her death, provides a large amount of the items on display at the Brontë Parsonage Museum today. One mystery about Martha is what happened to her after Patrick Brontë’s death. 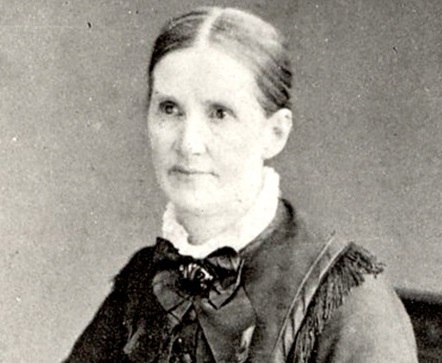 Juliet Barker has stated that she left the parsonage and travelled to Banager in Ireland where she then lived as a servant to Arthur Bell Nicholls (who himself had left England and given up the priesthood after being strangely overlooked for the role as Haworth’s new parish priest); others however have said that she remained in Yorkshire, but made visits as a friend to Arthur in Banagher. Martha had an impeccable reference when she came to the parsonage in 1841, and she was well known to the Brontë family as she was the daughter of village sexton John Brown, whose Sexton’s House dwelling was a stone’s throw from the parsonage, across from St. Michael and All Angel’s church and next door to the school house. 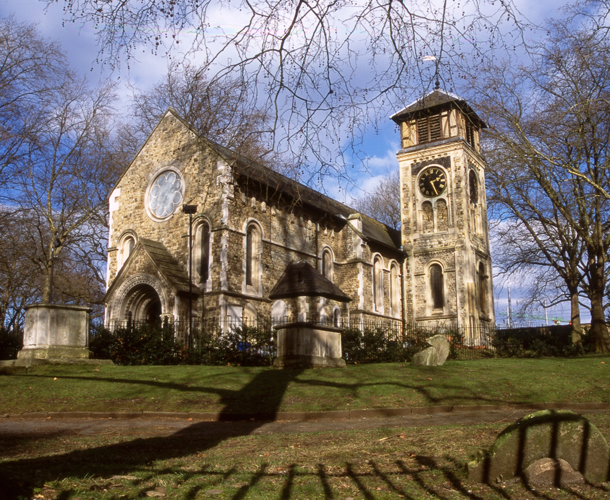 The role of sexton was an important one, as he was an important church official as well as the man who maintained church property and the graveyard. This was a very busy task in Haworth, as he had to facilitate the huge amount of funerals taking place there, liaising with the likes of coffin maker William Wood, nephew of Tabby Aykroyd. He was also the stonemason, so those in the parsonage would often hear the clink clink of his chisel upon stone, an almost relentless task in Haworth. John Brown was born in 1804, and inherited the prestigious roles from his father. 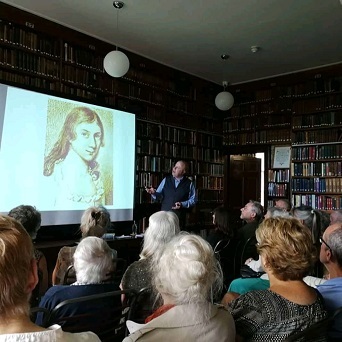 He would have worked closely with Patrick Brontë on many occasions, and the acceptance of his daughter Martha into the parsonage shows that he was held in esteem. 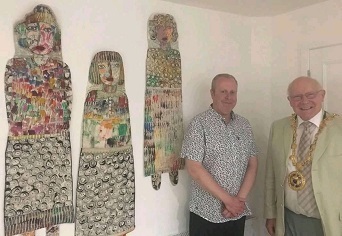 He was in fact held in high regard within Haworth society as a whole, as shown by his position of Master of Haworth’s Three Graces Masonic Lodge. Brown managed to get Branwell Brontë initiated into this lodge as well, even though he was at the time too young to meet the Masonic rules, which shows how close the two had become. Being a stonemason was hard work, it was thirsty work, and we know that John Brown and Branwell became close drinking companions in public houses such as the nearby Black Bull. Nevertheless, it seems that he was regarded as a stable figure who could be trusted rather than a reckless drinker, as it was John who was chosen to accompany Branwell to Liverpool in 1845 in an attempt to help him recover from the stresses of his dismissal from Thorp Green and all that came after it. John Brown was also, be necessity, a strong man, and it’s believed that he taught Branwell Brontë to box; it seems clear that Branwell looked up to the man 13 years his senior as almost an elder brother, and it was to John that he cried out that he was dying on 24th September 1848. John Brown was obviously a hard worker, and he died on 13th August 1855, with the official cause of death given as ‘dust on the lungs’. 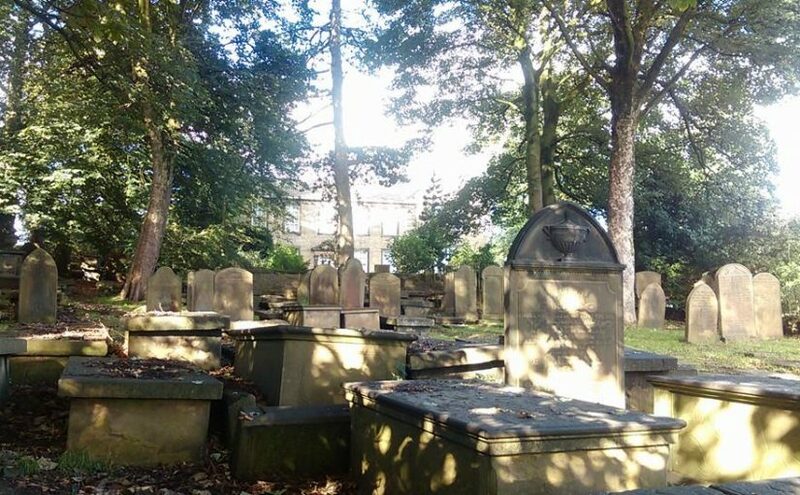 That may have been an emphysema type illness caused by the dusty years spent creating gravestones, but of course it may also have been the same disease which claimed five of the Brontës, tuberculosis. For Martha Brown it was a bitter pill to swallow. Within six months she had lost her initial mentor Tabby Aykroyd, her employer and friend Charlotte Brontë, and now her own father. Without her hard work and dedication, and John Brown’s influence too, the Brontë story may have been very different. 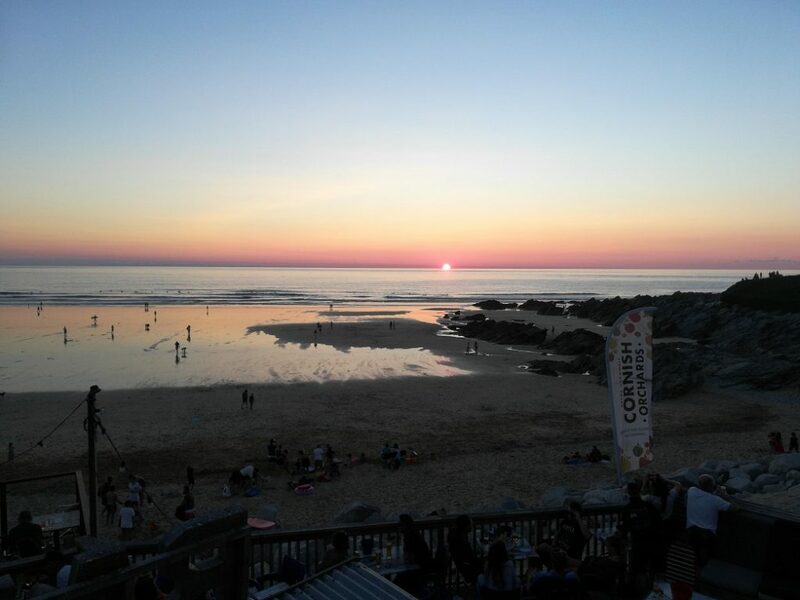 I’ve just spent a blissful week in Cornwall, firstly in Newquay soaking up the sun and watching the sun setting over Fistral Bay turn the sea to a golden fire, and then in Penzance, where I followed the Brontë maternal trail and delivered a talk at the stunning Morrab Library, as well as attending an opening party of the Hypatia Trust’s new headquarters – a fantastic organisation that promotes the achievements of women throughout history. 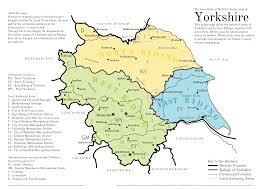 I’ve arrived back in Yorkshire on an auspicious day, as the 1st of August is Yorkshire Day. That, of course, makes me think of the Brontës (although in truth I never stop thinking of them) and they are to me the Queens of Yorkshire. It’s important, however, to remember the Cornish influence upon them, and it’s this in part that led me to Penzance and to write my biography of a special woman without whom we wouldn’t have the Brontë novels that we love today – ‘Aunt Branwell and the Brontë Legacy’ will be published by Pen and Sword Books at the end of September, but on this day let’s have a look at the similarities between Cornwall and Yorkshire. 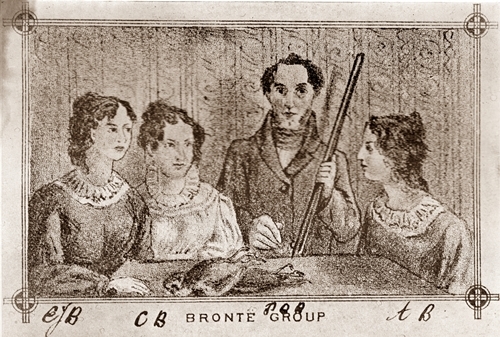 Everyone associates the Brontës with Haworth, but Charlotte, Patrick Branwell, Emily and Anne were actually born in Thornton near Bradford, whilst the eldest Yorkshire siblings Maria and Elizabeth were born in Hartshead near Mirfield. 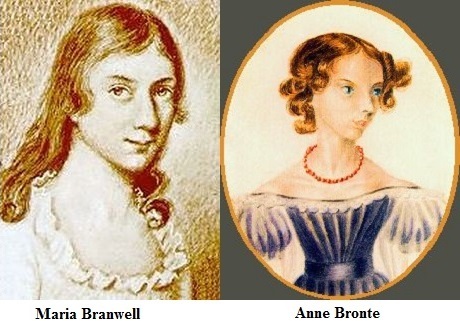 Penzance in Cornwall was the birthplace of two special women in the Brontë story, Maria Branwell and Elizabeth Branwell – the aunt who stepped up to the plate after the tragic death of her sister in 1821. The moors around Haworth were a source of endless fascination for Anne and especially Emily Brontë, and they are almost a character in their own right in ‘Wuthering Heights’. Despite a distance of well over 400 miles between Haworth and Penzance, the young Branwells looked out upon a similar landscape as the Cornish town is also surrounded by rugged moors to the north. Haworth is far from coastal, but Anne Brontë loved the sea, and liked nothing more than being in Scarborough – the east coast resort that she visited annually while governess to the Robinson family, and to which she returned in her final days. Cornwall is renowned worldwide for its stunning coastline, and I believe that it is likely to be Elizabeth Branwell‘s tales of growing up by the sea that made her niece Anne love it so. When spending time in Haworth or Penzance it’s impossible to escape a hint of magic, a sense of something other in the air. This can clearly be felt in ‘Wuthering Heights’ too, and we hear of Ponden Kirk -an ancient craggy outcrop with a hole at its base where legend says that crawling through it with a loved one could result in childbirth within a year if you married the person you were with – if you didn’t marry them, it would result in death within a year. This is clearly the fate that befell Catherine – she crawled through it with Heathcliff but didn’t marry him, and so is doomed to die. By coincidence, or not, an ancient stone structure near Penzance called Men-an-Tol carries exactly the same legend.